Custom Label Water Bottles Full Color Labels with No Setup Fee! All Plastic Bottles are 100% Recyclable Plastic. We offer custom label bottled water printed with your company slogan, charitable cause or advertisement. Custom label bottled water is advertising on a bottle, perfect for marketing in Full Color Digital Printing included in the price! 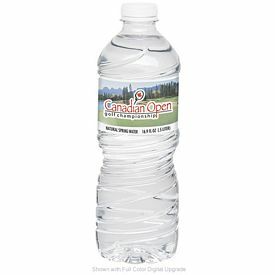 Custom label bottled water is ideal for trade-shows, business branding, social events, associations and entertainment. Many of our customers are nationally known companies using custom label bottled water for promotions, trade shows, and grand openings. Other customers buy custom label bottled water for their local car dealerships, banks, churches, schools, and businesses. Once you purchase 1-Pallet of custom label bottles we have negotiated special freight rates delivering straight to your door in 48 states. YOUR SHIPPING IS $99 PER PALLET! 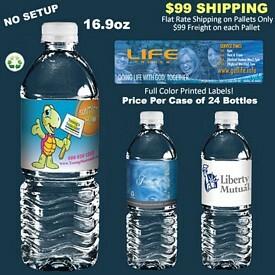 All Custom Label Water Bottles under 1-Pallet in size are shipped FedEx or UPS Ground Service. We recommend that you Request a Quote so we can ensure that your shipping is completely accurate. 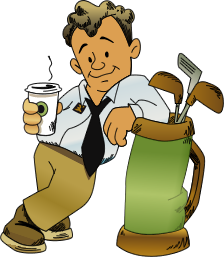 Feel free to checkout online, but if you call we may be able to save you some money on your shipping. Only on our 16.9oz Cylinder Water Bottle do we offer clear printed labels with an inside reverse printing as shown above with the The Raphad Hotel printed label. To take advantage of this service your cost is just $.05 for each bottle. 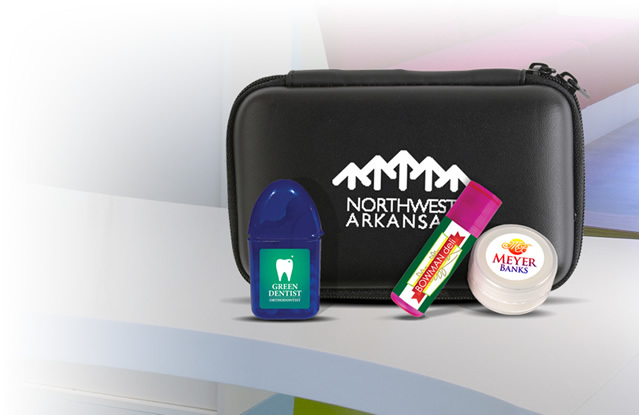 Reverse label printing allows for you to be creative in your business marketing. Order this option by phone. Nutritional information does not have to be printed on 95% of our water bottles. If would like the nutritional information printed just let us know, otherwise you can use the extra space to market your business. Remember our purified water is done the reverse osmosis and it 100% pure delicious drinking water. Promotional bottled water is distributed during media events, parties, and in a corporate get-togethers frequently. Companies prefer to use our personalized water bottles for promotion of their corporate name and brand image. Corporate events funded by companies often include customized label bottled water as a sure way of uplifting customer’s attention. 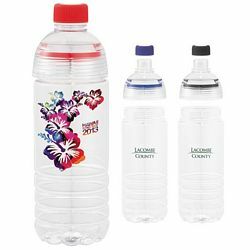 Custom water bottles and labels are an excellent promotional product for summertime events, company outings, fitness promotions, and for cure walks. Our promotional water bottles come in capacities of 8, 10, 12, 16.9, and 20 oz. respectively. There is an exclusive range of various sizes and shapes, starting from square, normal to even cylindrical. Our logoed water bottles are transparent with customized labels suitable for the promotion of your company. Our cylinder custom water bottle comes with a reversible logo, which means that the logo can be seen from both sides. 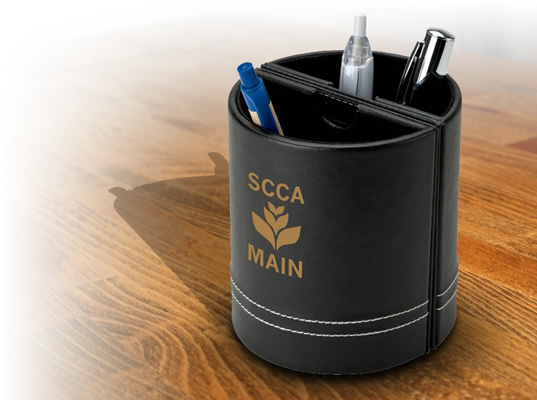 Customized water bottles are great and gives dual chances of promoting your brand image. Our custom bottle labels are available with full color digital printing. These are included in the purchase cost of the promo water bottle and there is no set up fee charged. 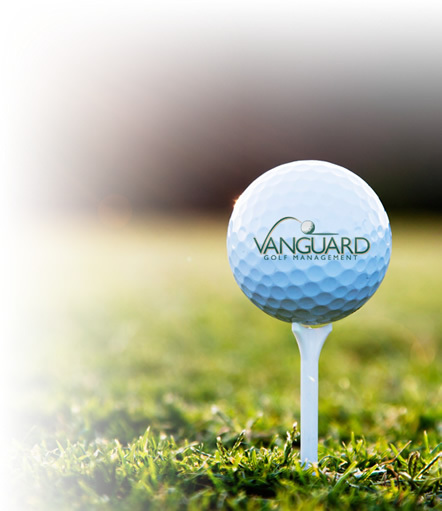 Our promotional bottled water can be used for distributing in charitable causes and activities that form corporate social responsibility for companies. No doubt, branded water bottles are also an effective way of advertising a good image among customers. 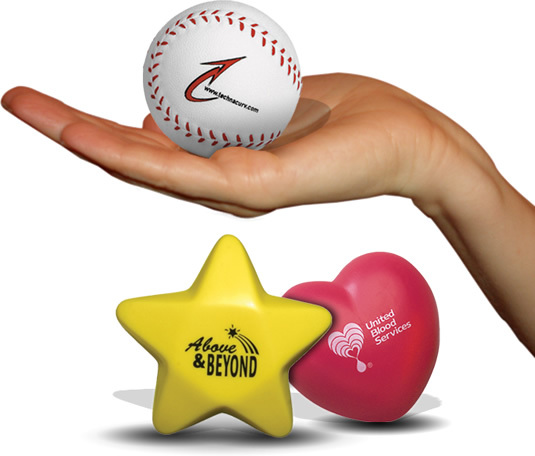 If your brand name appears in charitable events, it surely improves your strength in the mind of your customers. To further strengthen your company’s image, use our advertising water bottle labels which are suitable for the advertisement of your brand. We customize our advertising bottled water and make it suitable for distribution in social, cultural, public events, tradeshows, and promotional events. Promotional water bottles have reasonable shipping rates available; our custom freight shipping is fast and reliable. We make the finest custom labels and water bottles for companies like you. If you want us to help in logo creation or are not satisfied with your current logo, we can help in improving it with no additional charges. 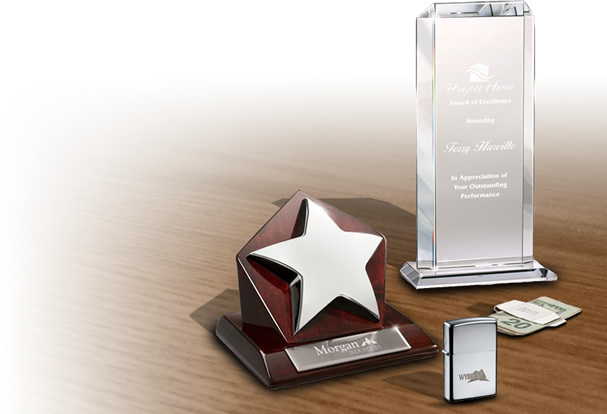 Use our exclusive and unique range of promotional bottled water and leave an unforgettable impression on your customers. 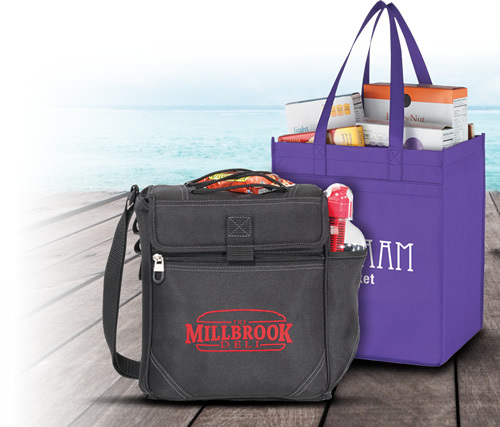 Call today for freight free shipping and get ready to rock your customers in the upcoming media event of your company.